OTTAWA - U.S. Sen. Ted Cruz vowed months ago to renounce his Canadian citizenship. It's now 2014, and the Calgary-born Republican lawmaker is still a dual citizen. "I have retained counsel that is preparing the paperwork to renounce the citizenship," the junior Texas senator, who's eyeing a run for president in 2016, said in a recent interview with the Dallas Morning News. He didn't dispute holding dual citizenship: "Not at this point," Cruz told the paper. That's confounding Canadian immigration lawyers. Renouncing Canadian citizenship, they say, is a simple, quick and straightforward process — there's even an online, four-page PDF form on the Government of Canada website to get the ball rolling without the help of lawyers. "Unless there's a security issue that hasn't been disclosed, unless there's a mental health issue that hasn't been disclosed, there's no reason for anything other than a lickety-split process to occur," Richard Kurland, a Vancouver-based immigration attorney, said in an interview Friday. Concerns about his Cruz's taxes might also be holding up the process, Kurland added, but the Canadian government is not to blame. "If he's attempting to bring our system into disrepute by suggesting it's lengthy and complex, it's just not true. Revocation is one of the fastest processes in our system." Stephen Green, an immigration lawyer in Toronto, was equally perplexed. "It's not complicated at all," said Green, whose firm, Green and Spiegel, reached out to offer help to Cruz at one point but never received a return phone call from the senator's office. "They make sure you understand what you're doing, that you're not going to become a stateless person, and then you're rock 'n' roll, and good to go. I would assume that if he's retained counsel, this could have been done by now." Canada's best-known citizenship renouncer, Conrad Black, said in an email Friday that it "doesn't take long" for the revocation process to work. He added Cruz may come to regret the move. "He's making a mistake; he'll never go higher in the U.S. electoral system than he is now, and Canada's a better governed country than the U.S.," said Black, who gave up his citizenship in 2001 in order to accept a peerage in the British House of Lords. Cruz's office didn't respond for a request for comment. The thorny issue of the Tea Party darling's birthplace has been a headache for the senator, given some in the neo-conservative movement have accused President Barack Obama of being born in Kenya — his father was Kenyan, his mother American — and insist he's therefore illegitimately leading the country. The Cruz affair prompted media wags in his home state of Texas to refer to the anti-immigration lawmaker as a "Canadian anchor baby." Cruz, 43, was born in Calgary when his parents were working in the Canadian oil business. His mother, Eleanor, is a native-born American, while his father, Rafael, is a Cuban who didn't become a U.S. citizen until 2005. Under U.S. law, a child born to an American parent gets automatic citizenship even if the birthplace is beyond U.S. borders. Canada, like the United States, also gives automatic citizenship to anyone born on its soil. 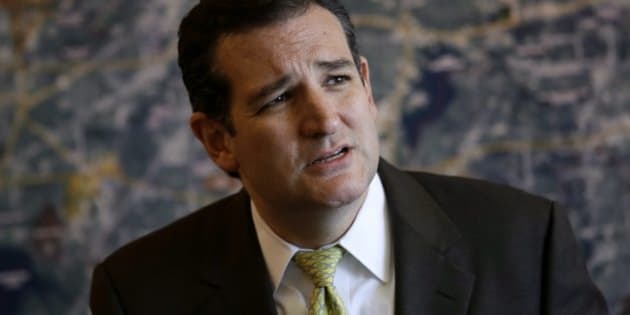 Even though it's precisely how the law works in the U.S., Cruz has said the news that he possessed dual citizenship came as a surprise to both him and his parents last year. The lawmaker insists his mother was told when he was a child that her boy would have to take affirmative action to claim Canadian citizenship. "There was no reason to retain counsel to analyze Canadian law, because it wasn't relevant to anything I was doing," Cruz told the Dallas Morning News. Kurland said he is skeptical. "He's a Harvard-educated lawyer so what's the problem? It's elementary." About 140 Canadian citizens a year renounce their citizenship, according to government figures. Many do so because some countries, such as China and Indonesia, don't allow dual citizenship.